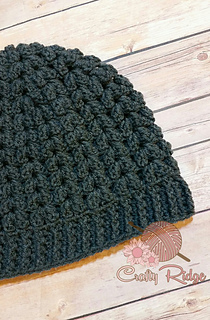 This beanie has a fun texture and a great fit! Perfect for adult or teens. 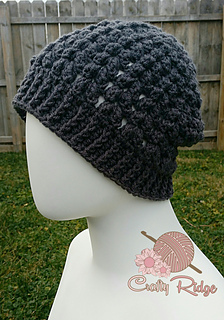 Make it a bit larger then your regular size for a nice slouchy look. 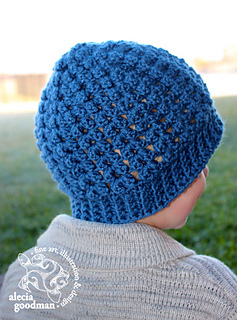 This is a quick pattern that uses less than a skein of your favorite worsted weight yarn. 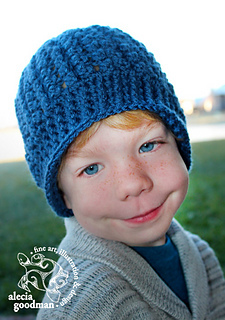 This is an original pattern by Crafty Ridge. Do not sell or distribute this pattern as your own. Do not use any of these images as your own or for the distribution of your finished items.